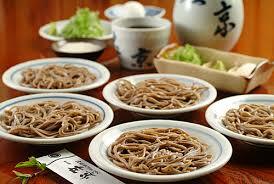 Izushi plate soba has a long history. It is said Lord Sengoku from Sinshu area has brought a noodle chef with him when he was ordered to swap his states in 1706. It is very simple to order a noodle at shops. You just order the number of portions you want to eat. Five dishes make one portion for one person. So you order how many people’s portions you want. If you order two (people) portions, then you get 10 dishes. The noodle plates are served with dashi soup in a traditional sake bottle and a choice of spices to add in the soup. Please do enjoy the simple traditional Izushi soba recipe that uses three main methods; preparing freshly grinded, freshly made and freshly boiled noodles. 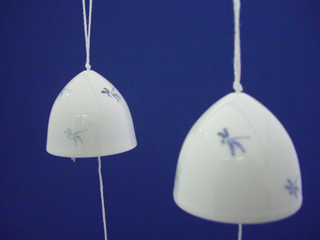 Izushi-yaki is known for its translucent white color. 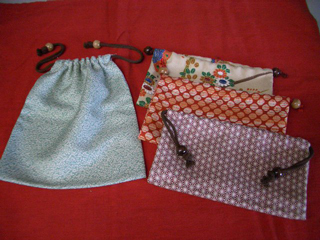 It dates back from the early history of Japan. 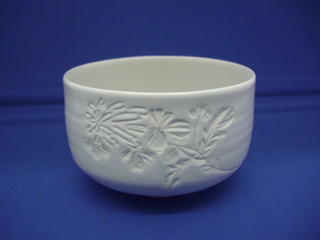 The ceramics are fired with a pure white material called Kakitanitouseki(pottery stone), and renowned for its mysterious whiteness. 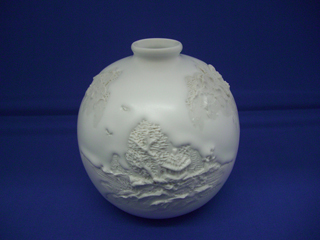 Its very fine sculptural works with silky surface finished by the potters’ sculptural techniques are designated as a part of national traditional crafts. Izushi silk crepe with stylish woven pattern has a soft and noble appearance, which represents Japanese traditional beauty. It is said that an ancient legendary figure has planted willow in this region a long time ago. 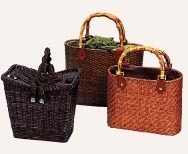 Wicker trunks were poplar and useful products before, but more folk handicraft works are preferred in recent days. 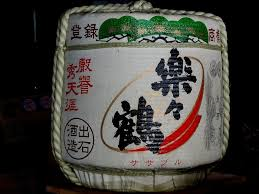 “Sasa turu” is a local Sake, made in a cellar of Izushi brewery with historical red mud wall. “Sasa turu” has a soft taste like the changing color of the red walls of the brewery. Shiroyama garden was opened as a brewery in Izushi in 1998. The local beer, Izushi Roman, is brewed with a lot of yeasts and has a fresh taste. Please enjoy the beer with good dishes at a restaurant close to this brewery. 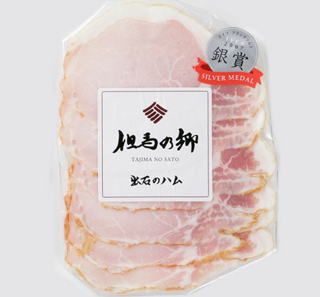 Some of the sausages are made with well known local food products such as Tajima Beef or Iwatsu leek. The shop’s fried minced meat cake is also very poplar with visitors.